As of this year, 2013, there are new owners of Owendale. and the name of the track has been changed to Silver Bullet Speedway (which it was named once before). The new owners have been doing some great promotions and have invested time and money into the track. If you get the chance, go out and support the track. it is a fun 'throwback' kinda track. 1/4 mile dirt and the racing is fast. They race every Saturday night. Saturday, Oct 6th is the last event of the 2012 season at Owendale Speedway. they are having a NEED FOR SPEED event. It has some bigger payouts and multiple classes. if you want to get one of your last fixes for local MI short track racing. make it out to Owendale and support a good local track & business!!! Call Matt Duggan 989-396-1562 for more info. Thanks to WaterWinterWonderland for this site so we can share past memories and future memories as well!!!. Hello, I used to race here in 1967, 68,69,70. I drove for Cliff Waterman, Uncle willie from town was related. Car number was 012 a 39 chevy coupe, and later my own car I-75 a 56 Ford. If any body has any photos I would pay gladly for them, Also Uncle Willie from town had a daughter Terrible I can't remember her name, but sure would like to get in touch. 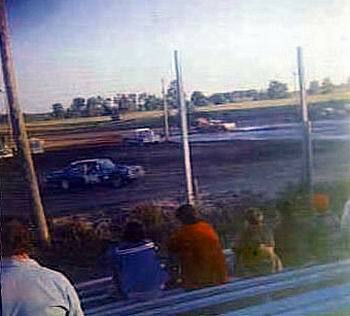 Sat - 7/28/12 I went to Owendale Speedway. Wow. this track has not changed since back in the day. only difference is the years of the cars. 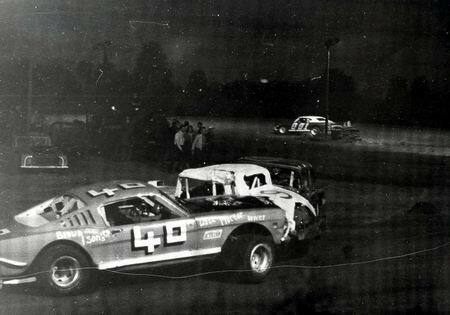 And this is total dirt track racing as there was dirt flying in every corner. Feirce competition and these are not 'junkers' out there. Some money is being spent for sure. Car count was a bit down, but Tri City had a rain out the night before (Fri) and was open on this same Sat, so some drivers went there (from what I was told) also the Bad Axe Fair was in full swing. regardless, I recommend going and checking Owendale out. Only $8 to get in and food prices were fair. The fans there love their drivers. nice to hear applause for each winner as they had there picture taken. This track is one of the surviving tracks around. 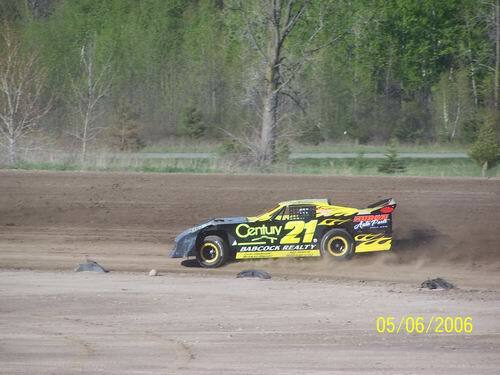 If you believe in MI short track racing, then head out to Owendale one Saturday, They really could use the support. Hats off to the owners, promoters and staff of Owendale for keeping it alive. Also a tip of the hat to the fans and racers that still contribute!!! Good job Owendale Speedway. I'll be back for sure!!!. 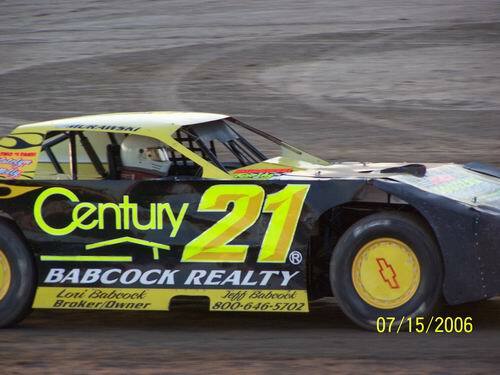 2011 limited late model champ bill murawski jr # 21. 5 classes of racing this year u. m. p. mods. 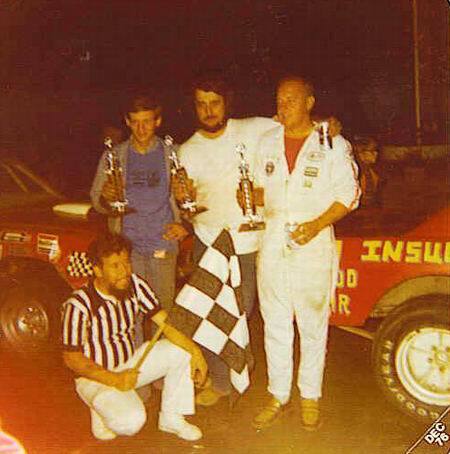 / late models/sportsman/street stock/road warriors. www. owendalespeedway. org opening night may 2nd. for test-tune. Hey everyone how have you been yea so i have lots of pictures i would like to add of my dad Earl Harris can u tell me how i can do that. 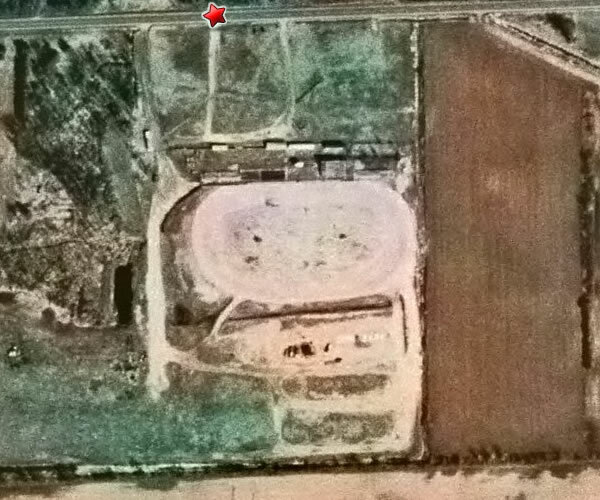 didn''t this speedway operate as huron speedway way back in some part of its life. Here is Owendale''s website:http://www. owendalespeedway. orgNo 2009 info yet, but I am sure there will be soon. hi todd any photos of car ? and how much for everything ? thks bill m.
ONLY BEEN BACK TO MICHIGAN 4-5 TIMES IN THE LAST FORTY YEARS BUT IT IS NICE TO KNOW THAT THE SPEEDWAY IS STILL GOING. SPENT A LOT OF TIME THERE AS A KID WHEN MY GRANDDADS CAR Z-1 WAS RUNNING WITH DON SANBORN DRIVING. ALSO FLYING 0 OF CHUCK HOLMES 10 LYLE TRIMNER11 GENE WINTERS T42 JERRY BROWN 13 MONTUGUES OUT OD CARO. 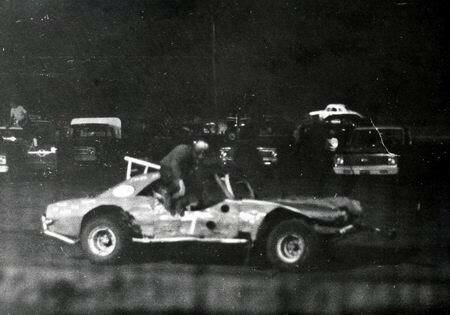 P3 HALLIE HOLMES CAR WITH JIM MOFFETT DRIVINGTHEN IN THE 60S YOU HAD THE CRAZY #17 WALT PROCTOR. 90 MILES AN TO THE TRACK AND LOADING A CAR ON THE TRAILER AT ABOUT 7000 RPMS. Owendale Speedway Drivers, I have a NEW limited late/late model MastersBiilt I want to sell quiickly No motor / No Trans $3500. 00. Run it as a limited or a full late modelTodd. hi everyone does anyone have any pics of little billy murawski when he started racing i know he use to race one of ken churhes cars #49 camaro and one of ron goretskis #66 chevelle and then his own ride that he got from oconners a black #98 chevelle then it went to orange #66 that started to run at dixie at birch run and auto city and tri city a few times then the car changed to blue #09 and ran a few time at mt. pleasent oh yeah it was purple also at one time the car was very very fast if any one can put some pics of any of the cars it would be so cool to see. thank you. hello all racers and fans at owendalespeedway. 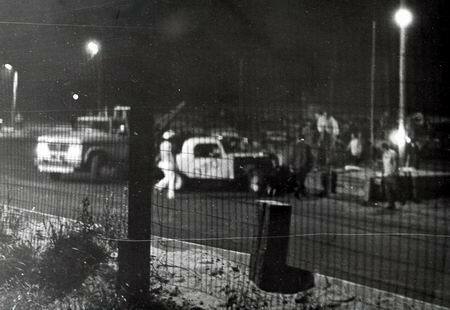 mary and ray need to start doing things like it was ran back in the 1980s lots of cars from all classes some big names use to run here. need to make flyers and mail them to a few differrent dirttracks and have a invatational race for streetstocks and the limitedlatemodels. 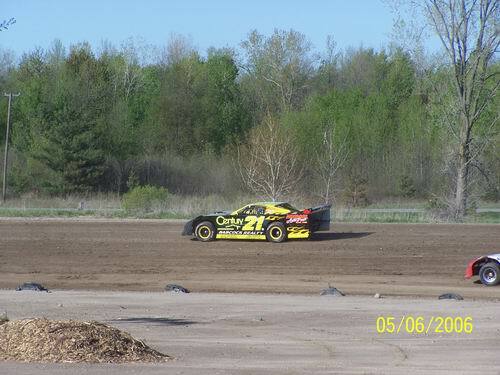 also an end of the year event would be a great thing look at mid michigan out in B. F.
E. and they get way to many cars at the cornharvest event people love to race at different types of events. no reason why you cant put out some cheap flyers out at other tracks you can make them on a computer for about 2cents each i am sure the drivers that go to differnt tracks can take a few dozen and pass them out and post them up. maybe have it go over the P.
A. system. i love owendale speedway alot it can be a primier track if the effort was inputed. hi all race fans i have heard that we will see some imca cars this coming year in 2009 is this true and i all so heard that jean is not going to be the flag man. good job to my brother billy and lafave did a great job to they are two of the best and cleanest drivers out there they know how to race like a real person with out messin around but we will be back in 2009 with plans to take the new year. great racing this year ryan , jod job on winning championship 2008 . 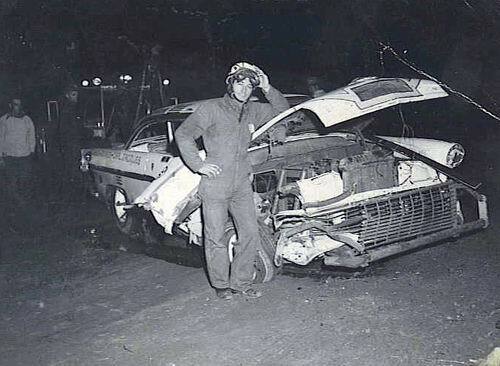 I think the #65 is Duane Bower out of pigeon,Jim Shauff was the car owner. Joe does your Dad have any more open mod pics? Also any idea who is driving that yellow #65 car?. 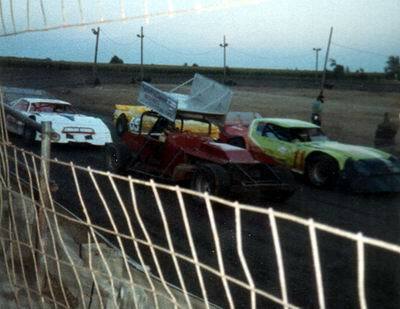 Toni and Joe, those are awesome shot''s I love the sprint car next to the late models and the wrecked 50''s stocker. 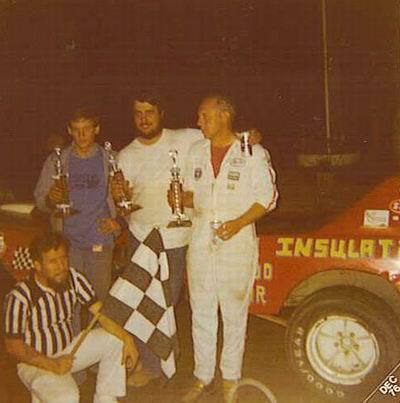 here is some old pics of my dad Mark Irwin From Owendale Speedway. 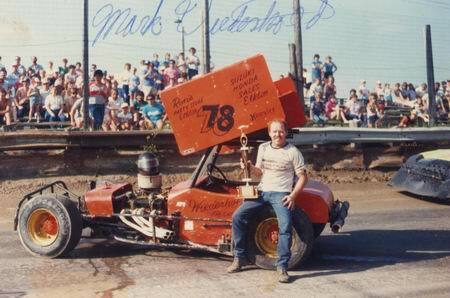 Open Modifieds and Sprint carshttp://markirwin. homestead. com/mirwinowendale. html. According to Owendales website, Racing will resume in May 2008 and there are no rule changes for the season. 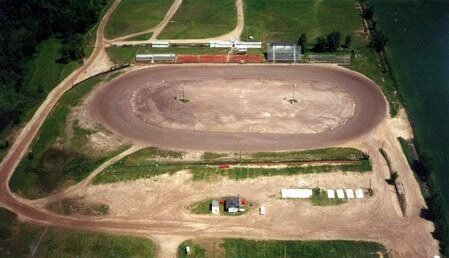 This track has also operated as Silver Bullet Speedway, but is now Owendale Speedway. 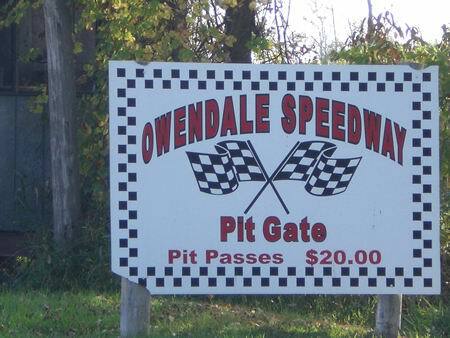 Owendale Speedway5801 Sebewaing RoadOwendale, MI 48754989-453-2403. BILLY way to go , way to go you and your team do a geat job. if i had a race car and the money i would let you drive for me. 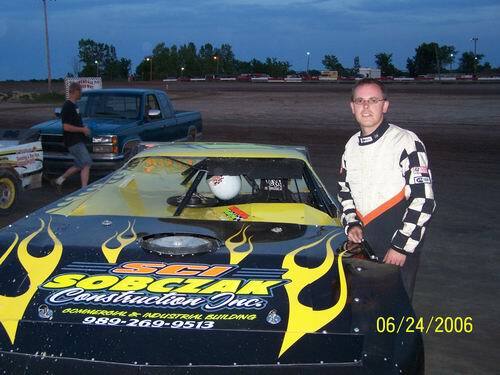 TO: Billy Muraski First, a belated congrats on your 2007 LLM Championship. Second, I received my Speedway Illustrated magazine today (11-26-07) and was thrilled to see you and your #21 in there. Congrats on that too. Wayne (Gramps) Mellendorf. CONGRATULATIONS BILLY ON YOUR LONG AWAITED AND HARD EARNED 2007 LIMITED LATE CHAMPIONSHIP YOU HAVE ALWAYS BEEN A GOOD CLEAN DRIVER HAVING WON MANY GOOD SPORTSMANSHIP AWARDS. WE ARE SO PROUD OF YOU FOR SETTING SUCH A GOOD EXAMPLE FOR ALL THE YOUNG FANS. THANK YOU FOR PROVING THAT YOU CAN WIN FAIR & SQUARE AND NOT COMPROMISE YOUR INTEGRETIY. Congrats Billy you are truly a champion and you deserve it so much. You and your team are a class act and it is good to see the nice guy win. Just goes to show you that you don''t have to drive dirty every week like the 3,4,and 5 to win. Anyway congrats you did an awesome job this year. Congradulations Bill on your Championship. 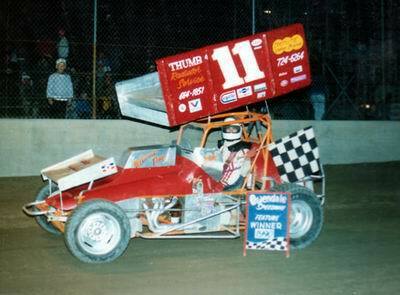 2007 POINTS CHAMPIONSHIP WINNER BILL MURAWSKI JR. THANK YOU EVERY ONE FOR YOUR SUPORT . Thank you race fan. we hope to get the the points. to RACE FAN. come on, don''t leave us hangin'', what transpired for you to lose respect for two competitors?. After I saw the limited feature race saterday i lost all respect for the 3 & 4 car. billy you can take the points. you have been around this many of years. you can out drive and out smart most drivers. bill your experience is going to get you the the track champ !!!!! jamie is going to crack under pressure. go bill go !! good luck. race fan. jamie #4 & bill #21 my hats off to you guys. you bolth brake rear ends in the heat race and get every thing fixed for the feature. great work by the crews yous guy have helping. good job on the 4th feature win of the year bill . the car count is vary low !! i wish some of the mt pleasant street stock & limiteds would come to owendale. the limited dont run at mt pleasent any more so thier must be some cars sitting. they always had about 15 limiteds on a good night. owendale should send some flyers to mt pleasent , saying we will pay better than crystal if you come. money talks. That is great to hear that Owendale is having such good racing. how has been the car turn out?. bill m had another great night going. won the 4 car dash, was up front in the heat and something went a miss ?? then he came out runnig good in the feature lead all the way to the white flap then jamei tambelin # 4 got under murawski for the pass in turns 1&2. jamei went on to win murawski 2 place. good job guys. it was grate night for racing, i thought it was going to be dry and dusty like always , but the track was wet all night long making for good side by side racing. some of the best racing i seen all year at owendale. keep up the good work track crew !!! like always i go to see the limiteds excllent show. murawski did a hell of a job started 2 in the dash won that. then murawski started 8th in the heat, and man he came up thorough the pack and won that. then for the feature i know he had the car to beat. but a few laps in dale ( cake ) name ? lost a wheel the car spon and murawski had no place to go. the track crew got the cars a part murawski had bad right side damage to the car. he went in the pits got a trie put on and made it back out. he got 6th. 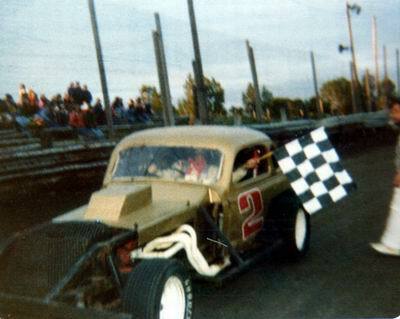 ray petit won the feature. murawski i hope you win the championship. tell your crew to keep the hard work and it should pay off in the end. unless the 5 car comes in to play. 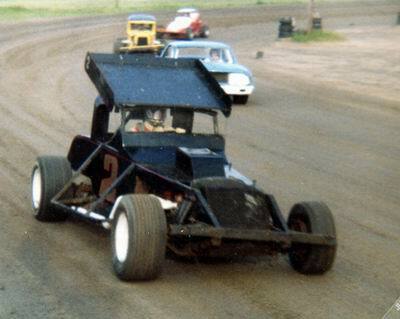 I am looking for old program books from owendale speedway 1980 - 1988. 5-12-07 it was a great night for racing murawski won the featurr, he led wire to wire he also won the best looking cae award in the limiteds. good job bill. Owendale Speedway will be open for Test & Tune MAY 5th and first race night will be MAY 12th, 2007 according to the website. http://www. owendalespeedway. org/ is the Owendale site. If you go to Google search, then type in Owendale Speedway, then click on the first link, that takes you to there website. It states 2007 racing begins in May. There phone is 'not hooked up' at this time. NOT disconnected, but 'not hooked up', so I take it as Owendale is going to be racing this year. unless someone has a direct connection and can elaborate more. Are they even going to be open this year. their website is gone. ???????. Is Owendale even going to be open this year. I'm not sure who said it but owendale and mid michigan are the only tracks that run limited lates, crystal runs pro stocks, rules are alot different. Billy do you plan on running the full schedule at mt. pleasant, i talked to joe he is going to run crystal full time. i hope they get it together this year. i want to see murawski win some races in that late model they got. its good to see him step it up unlike some. the rules, it would be nice if they got them on time for you drivers. now that only crystal , owendale are about the only ones running limited late models they should pay more then crystal and see if they get the mt plesant car to come?? put up good money to win & start and owendale should get some cars. Anyone know if Owendale is keeping the sportsman class and if they are changing thier street stock rules like a lot of the other tracks?. No problem Billy now we need to get some of the new car on here. 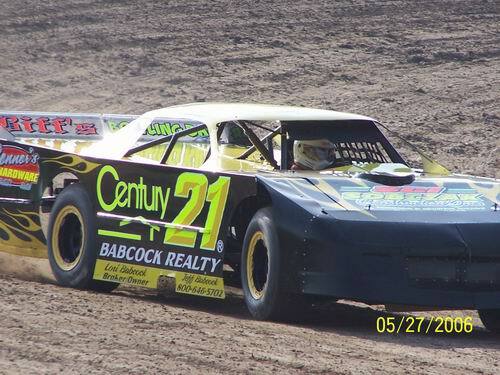 9/12/2006 - Bill Murawski Jr.
i will have the 21 car thier 9-16-06. thank you for getting the photos up scott & stacy. The new photos look great. Last weekend this weekend 9/16/06. See ya there. I received this after contacting Owendale online. Hearsay is dangerous. Yes, the track up and running. Test and tune is May 6 and Opening night is May 13. Hope to see you there. If you go to google, type in Owendale Speedway, then click on the first find, it will take you to the Owendale Speedway website. It states test and tune May 6th and first night of racing May 13th. 2006 rules are posted on that site as well. There is a phone # on there as well. 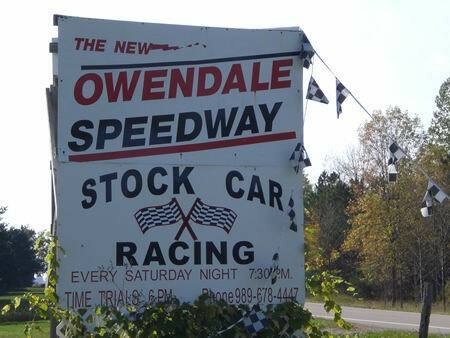 989-678-4447 is the Owendale Speedway hotline, says test and tune on May 6th opening night May 13th. Race fan your right on with the respecting the drivers idea. You talk mainly about the limited class but the street stockers are the ones who keep the track alive and the are the ones that get the least respect. To start the feature in the street stock class you get $15. 00 any and every other track Ive been to the least Ive got was $25. 00 which was your pit pass back now I know nobady is in the racing for the money but, You need to do better than $15 start money the only thing keeping all those street stock at owendale is lack of another track! The street stockers on most nights have a much cleaner show than the lates yet they are the ones that get time shortenedand the limiteds can run for an hour. They have half as many cars in thier classes feature race and most nights it takes twice as long as the street stock feature. As for #09 coming back to owendale as much as I love to watch billy race he deserves better as does most of those drivers at owendale but they race there because it is the closest track around We will all go back year after year but every year owendale loses more and more of their drivers to better tracks they need to cater more to the people that keep them in business but if you ask mary she makes no money!. 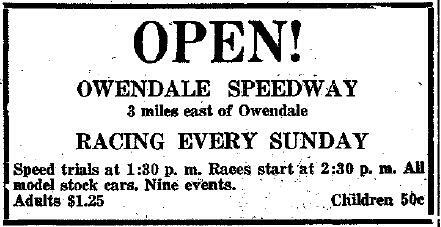 the owendale speedway will be open. i talk to ray pettit. if they dont start paying more to the drivers it sounds like, they are not going to have alot of cars in the limmited class? fans say they dont like all yellow flags all night!! big down fall. they only get about 45 to 50 cars and it takes them sometimes 5 hours to run a 2 1/2 hour show tops. they need to really start taking better care of the drivers putting on the show. i do like going to see the limiteds run. i heard that the former 09 car is comeing back with a new # and new look. i am looking forward to seeing the new look. or will he go back to mt,p speedway? thanks race fan. I WENT ON THAT SITE AND COULDNT EVEN FIND ANYTHING ABOUT THEM. I TALKED TO A GUY THAT WORKED THERE AND HE SAID THEY WERE HISTORY. ALL DONE. According to the website, they ARE racing in 2006. go to www. owendalespeedway. org and you can see 2006 rules have been posted. Says opening night is 5-6-06. I miss some of the drivers that left the speedway this year. Goretski 00, Murawski 09, Gembarski 21, Simmions 2, Tripkoski 9, Palmaroy 24, Hurly 58. The 5 team is killing the speedway. I would like to see some of the old drivers back, to put on a good show. Does anyone have any of the old videos from Owendale? Or photos/programs from 1985-1994. 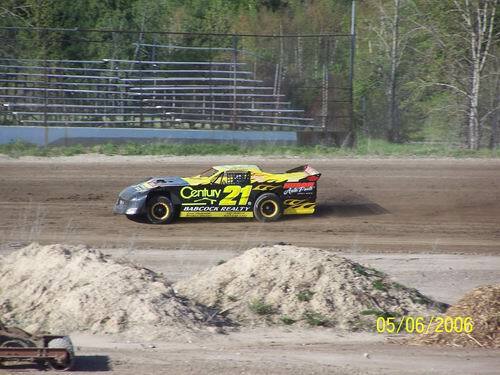 Im interested mostly in the open wheel class, late models, and demo derby cars that were at Owendale. Owendale is having their awards banquet in November so as far as I know they are a go for 2006 but I haved not talked to the owner at all. If I hear anything Ill pass it along. Going to the track is one of the best times you can have in the thumb on the weekend. unfortunatly prices are a little high if you wanna take your whole family and you go home pretty dirty most nights. but overall car count is pretty good. concession prices are reasonable. and they give you a pretty good show for your dollar. Ive got to say, this place hasnt changed a bit in 20 years. Even the front strech stands are the same old bleachers. And bring your dust mask if youre going to go to the Saturday night races. it is real dirt racing. but they car turn out is great. Ill be back there again next year as well.